Today we have the forty-fifth episode of our Mod of the Month series, celebrating the best mods from January 2019. The idea behind this series is to release a video every month honoring the best mods released in that particular month, as decided by popular vote. 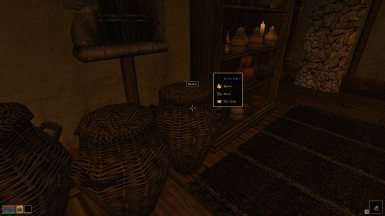 [url=https://www.nexusmods.com/morrowind/mods/46283]Our mod of the month for January 2019 is QuickLoot By Mort[/url], a rather simple but extremely convenient gameplay mod that adds a quickloot system to Morrowind, similar in function to Fallout 4. This will allow you to loot containers on the fly, picking just what you want and nothing else from the contents of each container without opening a single menu. This quick and painless looting mechanic will doubtless save you hours of gameplay time spent looting things, and is really an absolutely essential mod, which more than makes it our Mod of the Month for January 2019. [url=https://www.nexusmods.com/morrowind/mods/46289]Now our second Mod of the Month for January 2019 is Necrom - Arkitektora of Morrowind By Tyddy[/url], and this is a high-resolution texture replacer that adds new 2k-resolution textures for the city of Necrom on the Tamriel Rebuilt mainland, making one of the most iconic and unique cities of Tamriel Rebuilt just more beautiful than ever before. And this is part of a planned new series of mods by Tyddy to provide high-quality replacers to the rest of the mainland, and either way, this first package is really a must-have for players of Tamriel Rebuilt, hence why it's our second pick here. 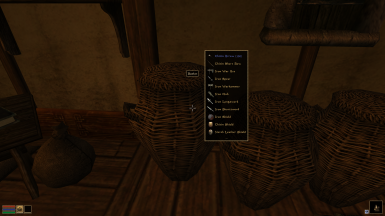 [url=https://www.nexusmods.com/morrowind/mods/46308]Finally, our third choice for mod of the month is HQ Weapons By EJ-12 aka HedgeHog12 and Qwerty[/url], a stand-alone and updated weapon replacer package from the Symphony Overhaul which replaces about 30 to 40 weapons in the game, including silver weapons, Dwemer weapons, Daedric weapons, unique artifacts like the Ice Blade of the Monarch, and much more. These weapons of course have HedgeHog12's typical dramatic flair, and in any event, they're all really high quality model and texture replaces, which makes this our final pick for January 2019. 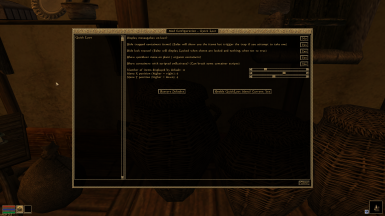 Also check out the [url=https://wiki.nexusmods.com/index.php/Morrowind_graphics_guide]Morrowind Graphics Guide[/url] for a more vanilla experience.